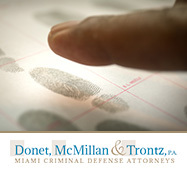 Each criminal lawyer at Donet, McMillan and Trontz is devoted exclusively to defending individuals who are accused of committing crimes in the Miami area. We understand the stress that you must be experiencing, so our goal is to take care of your legal defense and obtain the best possible resolution. 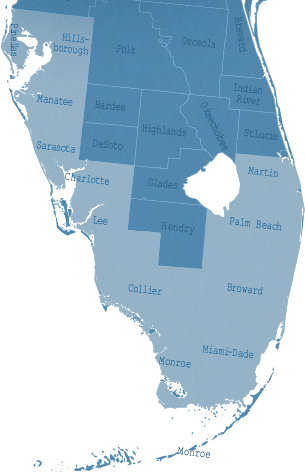 From Miami to Tampa, our defense lawyers are here to defend your rights and provide an effective defense strategy in any criminal case. The named partners at our office have received many accolades for their defense work in the South Florida area. Clients and other criminal lawyers alike are amazed by the results obtained by our firm. 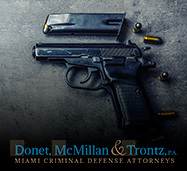 Our Miami criminal lawyers at Donet, McMillan & Trontz, P.A. have represented thousands of clients and tried hundreds of cases with outstanding results. Here are just a few of the reasons that you should work with our firm. Each of our partners has been named as a member of Florida Trend's Legal Elite and has been included in the list of Florida Super Lawyers ®. Our firm has been honored with the highest possible AV® rating by Martindale-Hubbell®. You can trust our firm to get the results that you need. We have successfully defended clients in both state and federal court. If you, a loved one, or someone you know has recently been arrested or is the subject of a criminal investigation, immediately contact our experienced criminal defense team. The sooner you consult and retain a Miami criminal defense lawyer from our law firm, the sooner we can use our 50 years of combined experience to prepare a solid defense for your criminal case. We are available 24/7 to provide the defense you need to fight your charges. What makes Donet, McMillan & Trontz, P.A. different? The cornerstone of our Miami criminal law office is our founder's desire to create a firm that is uniquely dedicated to providing our clients with skilled and aggressive legal representation in criminal matters. We offer personal service, efficiency, professionalism, and most importantly, outstanding results. 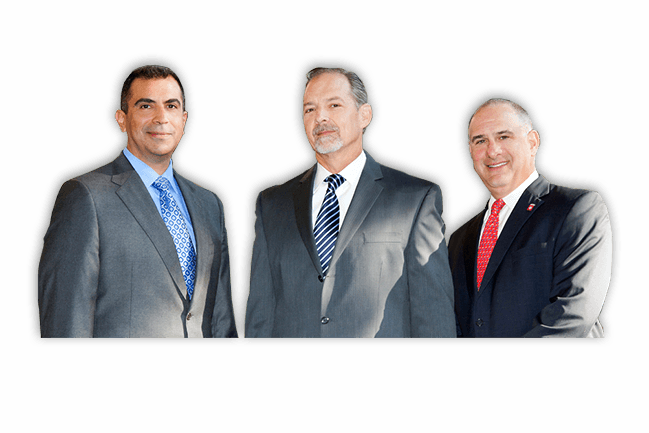 As former prosecutors, we know how to win a criminal case in Miami and we assert skilled representation along with an intimate knowledge of the criminal system. In general, when people are charged with a crime, it is a life-altering experience. Those individuals that are charged with a crime deserve to have a Miami criminal defense attorney who will doggedly fight for and protect their rights. Donet, McMillan & Trontz, P.A. is fierce in our representation of each and every client who walks through our firm's doors. We understand that everyone who has been charged with a crime is under undue stress and pressure. Our attorneys recognize that our clients are in crisis and we are here to advocate for them accordingly. Posted on Mar 29, 2019 by Donet, McMillan & Trontz, P.A. Posted on Mar 19, 2019 by Donet, McMillan & Trontz, P.A. Our criminal attorneys are available 24/7, so don't wait. Contact our firm today!